Two Palestinian workers were killed Sunday after being run over by a truck in northern Israel, a police spokeswoman said. The two were run over while they were fixing their car on the side of the road in Haifa on Route 70, Luba Samari said in a statement. Samari called the incident "a horrific accident." The victims were identified as Zahi Subi Abu Hamed from Qalqiliya, and Anwar Astal from Tulkarem, the statement said. Zahi's brother Zuheir was moderately injured in the accident. Police will continue to investigate the incident, and are questioning the driver, Samari said. A Palestinian man told Ma'an Sunday that he was stabbed 12 times by Israelis in central Israel over a week ago. Ali Ibrahim Abu Zahra, 22 from Yatta in the southern West Bank, told Ma'an he was working in Israel when he was tricked into getting into a car with three Israelis who later stabbed him repeatedly. "One evening after a long working day, I was standing by the road to breathe some fresh air," Abu Zahra told Ma'an. "Suddenly a car stopped and three settlers (Israelis) stepped out and offered to pay me 700 shekels for two-hour job," Abu Zahra said. "I agreed and stepped into their car unaware of what they were plotting." He said one of the three Israelis sprayed something on his face from a bottle he took out of his pocket, and that he lost consciousness. "I woke up after a while to find myself lying on the ground in a forest bleeding from different cuts all over my body," he said. Abu Zahra was found in al-Ramadin Forest, his brother told Ma'an. He was later taken to Soroka Hospital in Beersheba, where doctors conducted blood transfusions. The man works in Israel without a permit to help support a 14-member family. An Israeli spokesman did not immediately comment on the incident. Around 15,000-30,000 Palestinians work in Israel without permits, according to Israeli human rights group B'Tselem. 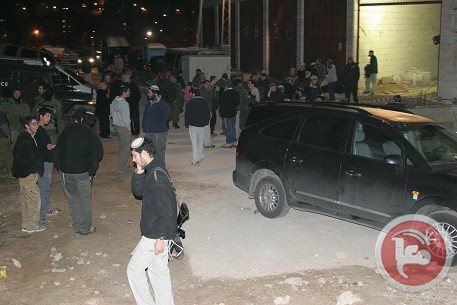 Israeli settlers on Saturday evening stormed the East Jerusalem neighborhood of Sheikh Jarrah and attacked Palestinian residents. Locals told Ma’an that some 50 settlers stormed the neighborhood and attacked Hani al-Sabbagh and his brother Ahmad beating them after squirting pepper spray at their faces. The attackers then hurled stones at Palestinian homes before residents clashed with them in the streets. Israeli forces arrived to protect the attacking settlers. The soldiers, according to witnesses, have beaten Palestinians with clubs and rifle butts injuring a young man Yousif Abu Shush and a girl child. Israeli authorities have arrested six suspects in their investigation into the murder of a Palestinian teenager who was killed in a possible revenge attack. Israeli media reported Sunday that police believe the motive behind the murder of 16-year-old Mohammed Abu Khdeir was connected to the deaths of three Israeli teenagers in the occupied West Bank days earlier. Late Friday, a senior Palestinian official said that a preliminary autopsy report showed Abu Khdeir was burnt alive by his kidnappers. The autopsy was conducted at Abu Kabir Forensic Institute in Israel in the presence of Palestinian coroner Dr Sabir al-Aloul, the director of the Institute of Forensic Medicine at al-Quds University. Israeli police have arrested a group of Jewish extremists in connection with the kidnap and murder of a Palestinian teenager in East Jerusalem, an Israeli official said Sunday. "Apparently the people arrested in relation to the case belong to an extremist Jewish group," the official said, speaking on condition of anonymity, shortly after the website of the Haaretz newspaper reported six arrests in connection with the case. The kidnap and murder on Wednesday sparked four straight days of riots which began in annexed East Jerusalem but on Saturday spread to more than half a dozen Palestinian towns within Israel. Details of the case have been subjected to a strict gag order. It followed days of growing suspicion that Wednesday’s murder was carried out by extremist Jews in revenge for last month’s abduction and murder of three Israeli teenagers in the occupied West Bank. Israeli police have also arrested dozens of people protesting against the 16-year-old boy, who was shown in an autopsy to have been burned alive in what many Palestinians believe was a revenge killing by Jewish extremists after the kidnap and murder of three Israeli teenagers in the occupied West Bank last month. “Around 35 people were arrested overnight, almost half of them minors,” police spokeswoman Luba Samri said. Of those, 22 were arrested in and around the northern city of Nazareth, the most populous Palestinian town in Israel. The rest were arrested in Taibe in the north and the Triangle region around Umm el-Fahm, an Islamist stronghold northeast of Tel Aviv, where clashes continued into Sunday, Samri added. “We are demonstrating against this incitement to hatred by Israelis online, who are saying ‘death to Arabs’,” one demonstrator in the Triangle town of Qalansuwa told army radio. Israel police confirmed they had opened an internal investigation into allegations of police brutality following the publication of a video showing border police beating a handcuffed detainee. The video was released as news emerged that a 15-year-old Palestinian with US citizenship had been badly beaten while in police custody in East Jerusalem, triggering condemnation from the US State Department. He was due to appear in court on Sunday morning. The latest round of violence began on June 12 with the kidnap and subsequent murder of three Israeli teenagers in an attack Israel blamed on Hamas. The kidnapping triggered a major army crackdown on the West Bank, with more than 400 Palestinians arrested, two-thirds of them Hamas members, and six people killed in clashes sparked by the arrests. Two days after their bodies were found, a Palestinian of similar age from East Jerusalem was kidnapped and killed, sparking clashes which on Saturday spread to Palestinian towns in Israel. Tensions have also been high in and around Gaza, where Hamas has its stronghold, with militants responding to the West Bank crackdown with rocket fire on southern Israel. The military, meanwhile, carried out 10 air strikes on Gaza in response to persistent rocket fire into southern Israel as hopes faded of a renewed truce with the Hamas. The air force has hit back with almost nightly strikes, which have killed three Palestinian militants so far. On Saturday, militants fired 15 rockets and mortar rounds at Israel, two of which targeted the southern city of Beersheva some 25 miles from the Palestinian territory, police said. It was the first time the city had been targeted since the army’s last major operation in Gaza, named "Pillar of Defense," in November 2012. The air force responded with new strikes early on Sunday, none of which caused casualties. “Following constant rocket fire at Israeli communities in the south, (Israel Air Force) aircraft targeted 10 terror sites in the central and southern Gaza Strip, including concealed rocket launchers and a weapon manufacturing facility,” a statement said. Also on Sunday, the army said it had arrested a Palestinian in the flashpoint southern West Bank city of Hebron, whom the Israeli media suggested was somehow linked to the kidnap and murder of the three teenagers. Israel has named two Hamas militants from Hebron as the prime suspects — Marwan Qawasmeh and Amer Abu Eishe. Both remain at large. Extremist Jewish settlers assaulted a Christian cleric while he was traveling back to from Bethlehem to his church in the village of Abud in northwest Ramallah on Sunday. Locals told Ma’an that bishop Abud Atallah Issawi and another priest were traveling in a private car on the main road near the village of Deir Abu Mashal when a group of settlers attacked them with stones and steel bars. The pastor managed to speed away, and he eventually took a bypass route to his church. The car sustained major damage, but the priests were not hurt, locals said. 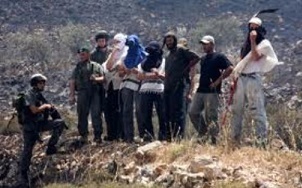 A number of extremist Israeli settlers invaded Wad al-Bathan village, near the central West Bank district of Tubas, and attempted to attack residents, and archaeological areas, but were chased away by local Palestinians. Local sources said the settlers invaded the village through the al-Hamra Israeli roadblock, east of the village, and that the soldiers did not attempt to stop them. Local residents chased the invading settlers, and threw stones at them, forcing them to run away. The settlers then headed towards the soldiers, stationed at the al-Hamra roadblock. The residents formed special committees to guard the village and its lands, and to monitor the movement of fanatic settlers in an attempt to foil their attacks, and the ongoing attempts to invade the village, and its agricultural lands. The settlers repeatedly attack the area, especially since it has beautiful natural and historic sites, in addition to several parks. The increasing attacks against Palestinians by Israeli settlers continued in the West Bank, Saturday, when heavily armed Israeli settlers severely beat a Palestinian man in the Hebron of al-Sha‘abeh, causing him moderate injuries. Brtual and even fatal confrontations with Israeli settlers have been on the rise for Palestinians, in recent days, ever since the bodies of three missing Israeli teens were reported to be uncovered near the site of their alleged disappearance. Medical and security sources told WAFA Palestinian News & Info Agency that a number of settlers from the illegal Kiryat Arba settlement, east of Hebron, attacked a defenseless 30-year-old Palestinian man, severely wounding him throughout his body. He was transferred to hospital, and is said to be in moderate condition. In Ya‘bad, to the southwest of Jenin, Israeli settlers from Mabo Dothan and Harmish, also illegal settlements, invaded the entrance of the city, where they burned tires. They then infiltrated nearby agricultural lands, wrecking havoc there, as well. Under the protection of Israeli forces, they drove their cars along Ya‘bad and Kfiret junction in a provocative manner, hoisting Israeli flags and chanting racist slogans, according to WAFA. Forces set up a roadblock at the entrance of Ya‘bad, preventing villagers from travelling in and out of the village. Also on Saturday, Israeli settlers paved a bypass road on Palestinian-owned land in Taqou‘, east of Bethlehem. According to the head of the Taqou‘ council, Taysir Abu Mifreh, a number of settlers, also under Israeli army protection, paved the road in order to connect a nature reserve in the area with two nearby illegal settlements. Meanwhile, settlers began planting on Palestinian land near the outpost of Roman, with the intention of completely taking it over. Just Friday, Israeli settlers placed mobile homes on locally-owned land adjacent to Roman, to facilitate its expansion. 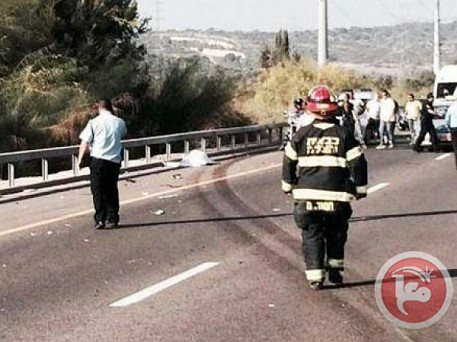 Also on Friday, to the east of Bethlehem, a Palestinian teenager ‘Ala ‘Abayyat, 17, was run over by an Israeli settler near Kisan village, according to the head of the Kisan Local Council, Hussein Ghazal. The teen was on his way to the grocery store at the time of the incident. The settler fled the scene and ‘Abayyat’s was taken to the hospital for treatment. 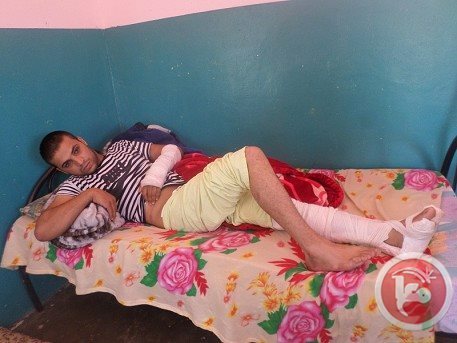 In the village of Osrin, on Thursday, a Palestinian youth named Zeyad Adili, age 22, was admitted to a hospital with injuries nearly leading to the amputation of his leg, after being severely beaten by Israeli settlers, south of Nablus. The young man's father told WAFA that his son was attacked by a number of settlers while on his way home. Fortunately, the doctors were able to save the leg; Zeyad is reported to be in stable condition. According to B'Tselem, over 300,000 Israelis currently live in more than 200 settlements and settlement outposts throughout the West Bank -- all established in contravention of international law, some even in contravention of Israeli law. A number of extremist Israeli settlers chased, on Saturday at noon, a Palestinian child while in his family’s land in Ertas village, south of the West Bank city of Bethlehem. Mohammad Brejeyya, coordinator of the Popular Committee Against the Wall and Settlements in the Bethlehem District, stated that a number of settlers chased Qassem ‘Ayesh, 12 years of age, in Khallet an-Nahla area, while in his family’s land. Seeking protection, the child ran to his uncle who was working in the family’s land, and the settlers left the scene. 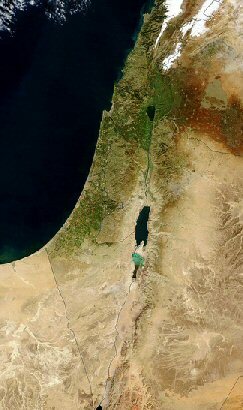 Brejeyya said similar attacks have escalated against the Palestinians, and their lands, adding that the settlers recently installed a tent, and prevented families from entering their own lands despite the fact that the families managed to achieve a ruling from an Israeli court for the removal of the settlers from their lands. In related news, a number of settlers attacked, on Sunday at dawn, the car of Tulkarem Governor, Abdullah Kamil, as he was returning to the district. The attack took place near the Jeet Junction. 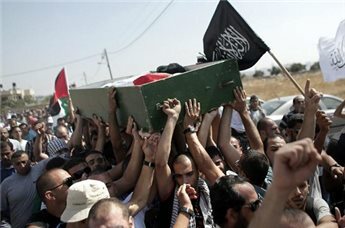 Kamil said the settlers are practicing “organized acts of terror”, and held the Israeli government of Benjamin Netanyahu responsible for the latest escalation, including the Wednesday abduction and brutal murder of Mohammad Abu Khdeir, 16, who was kidnapped and burnt to death, by Israeli fanatics in occupied Jerusalem. On Friday at night, fanatic settlers kidnapped a young Palestinian man from Osarin village, south of Nablus, and beat him nearly to death in addition to stabbing him. 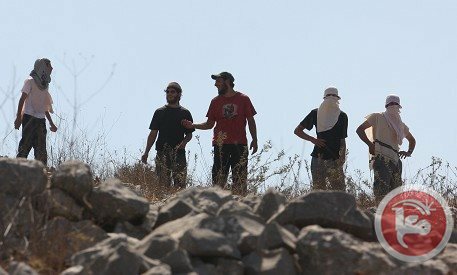 A horde of armed Jewish settlers on Saturday afternoon chased a Palestinian boy from Artas village, south of Bethlehem, during his presence on a cultivated land owned by his father. Local sources told the Palestinian information center (PIC) that a group of fanatic settlers with their dogs chased 12-year-old Qasem Ayyash as he was collecting some cucumbers on his father's land in Khalat Annahla area in an attempt to kidnap him. The sources added that the boy, luckily, was able to reach his uncle, who managed to fend off the assailants, but later Israeli policemen showed up and confiscated the uncle's ID card. In another incident, another group of Jewish settlers sized about 100 dunums of Palestinian-owned land in Tekoa town to the east of Bethlehem and established a new outpost on it. Eyewitnesses reported that the settlers placed four mobile homes on a Palestinian-owned land near their illegal settlement in the town. Later last night, gangs of Jewish settlers attacked Palestinian citizens and vehicles in Ramallah, Al-Khalil and Jerusalem cities. Khaled Shehadeh from Deir Ammar town in Ramallah said that Jewish settlers from Halamish settlement in the town threw stones at his car and broke some of its windows as he was driving back home, adding that he suffered cuts in the attack. 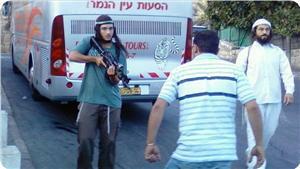 He also said that the settlers chanted racist slurs and death threats against the Palestinians during the incident. Other settlers from Gush Etzion settlement blocked the main road between Al-Khalil and Bethlehem cities and embarked on hurling stones at passing cars. Similar attacks on Palestinian vehicles were reported in Al-Hawour area in Halhoul city. In the same context, the Israeli police detained on Saturday evening Palestinian citizens as they were defending themselves against settlers' attacks in Sheikh Jarrah neighborhood in occupied Jerusalem. A resident from the neighborhood said that some settlers attacked citizens in the area with pepper gas, which caused five of them, including a girl, to suffer from its effects, adding the settlers also smashed windows of seven cars. He added that the Israeli police provided protection for the settlers during their attacks and detained two Palestinian young men identified as Ahmed and Mahmoud Al-Sabbagh as they were trying to ward off the settlers' aggression.